Tod “Kip” Williams Will Direct an Adaptation Of Stephen King’s CELL! 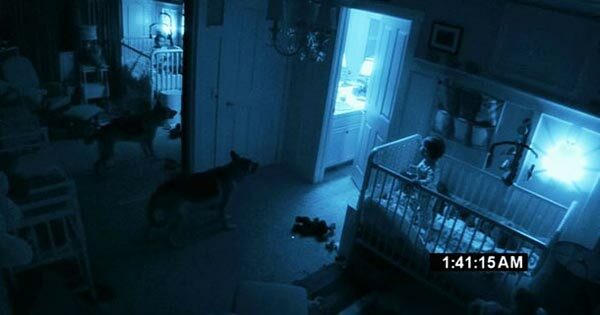 Paranormal Activity 2 is the Prequel / Update to last years blockbuster hit Paranormal Activity. In this film we get a background on what led to the events in the first film. We have the two characters from the first film Katie & Micah and also Katie’s family…her sister, brother-in-law, niece, nephew, their dog, niece’s boyfriend and of course the Demonic force with a bit more attitude this time around. This was filmed in the same first person perspective as the first one with footage from security cameras. It has a bit more shock value than the first, but I don’t think it really surpasses the first film scare wise. You can separate the viewers of the first Paranormal Activity into three categories: 1) People who were terrified by the experience; 2) people who were terrified by the experience but have too much pride to admit it; and 3) people who were legitimately bored by the movie. The latter category is understandable; it’s an experience you have to buy into, one that takes the proper mood and setting, and requires a certain amount of suspension of disbelief. Without it, Paranormal Activity and its sequel might come off as an exercise in tedium — a dull, restless patience-testing experience that’ll leave you scratching your head wondering wondering what anyone else found redeeming about the movie. “Paranormal Activity 2” is an efficient delivery system for Gotcha! Moments, of which it has about 19. Audiences who want to be Gotchaed will enjoy it. A Gotcha! Moment is a moment when something is sudden, loud and scary. This can be as basic as the old It’s Only a Cat cliché, or as abrupt as a character being hit by a bus. PA2 starts slyly with pre-Gotcha! teasers, such as a door or a child’s toy moving on its own. Then there are obscure off-screen rumbles, like a uneasy stomach. Then loud bangs. Then loud bangs with visible causes. Then all the doors in a room banging open at once. And eventually…well, you can see for yourself, because all the activity is captured by 24-hour security cameras.